I had expected the mud. On the day it wasn’t so bad, all ride-able and didn’t cause any mechanical issues. However I’ve got to say I still prefer it frozen solid. I had expected the cyclo-crossers. They aren’t so bad, and I wasn’t tormented by a bunch of them like last year (torment might be a bit strong but one against four just isn’t fair!). 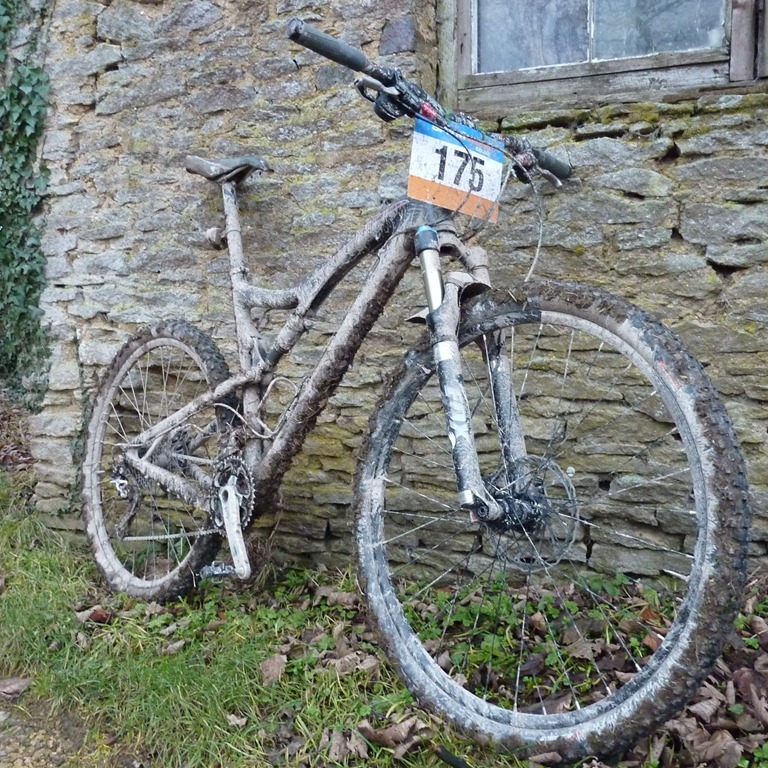 The muddy course did look like it suited a CX bike better than the ice of last year. I hadn’t expected to bump into a friendly face before the start, which was nice. Even nicer then when 45 minutes into the ride we realised we were also pretty much on the same pace. I did have the advantage on the flat with a bigger cog, but the gap was always closed on the climbs (I’m a big bloke). The course does get some negative comments, but at this time of year it is clear why SPAMBiking don’t use more of the excellent single-track and save this instead for Set2Rise and the Blast. For a chance to stretch your legs and blow away the winter cobwebs I reckon it is pretty good. 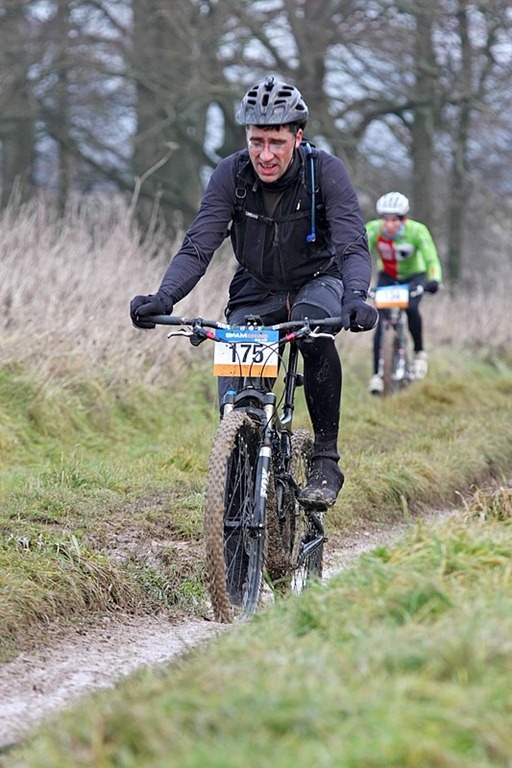 I enjoyed it all even the moral sapping final muddy climb that seems to go on forever. I did let myself get silly cold on one descent. Mental note for doing big rides in this weather is to zip up the wind proof before a big long descent. Wasn’t until I got home to a bath that I felt warm again. 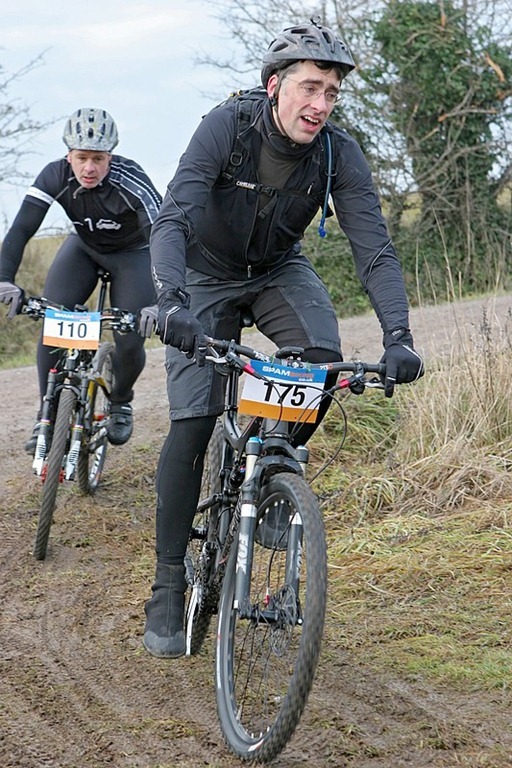 I am pleased with my 42nd (2h 19m) position, a good improvement on last years 63rd (2h 33m). 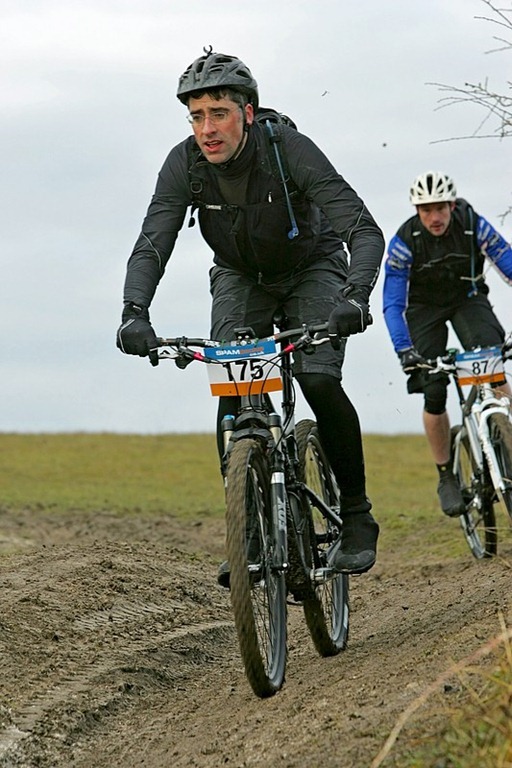 I avoided the temptation to blow up at the start, and was able to keep the pressure on throughout the 50km.